What Causes Link to Die? Over the span of almost 28 years, through all 17 of his games and plenty of spin-offs, Link has accumulated quite a collection of quests and adventures. Unfortunately for him, these heroic tales are guaranteed to come with numerous deadly situations. Now, most of Link’s deaths make sense, as the human (or Hylian) body is only capable of taking so much. But occasionally, the factors which cause Link to die or to live simply don’t add up. These situations fall into two categories: things that don’t kill Link but should, and those which do kill Link but shouldn’t. First of all, let’s look at scenarios which should be the end of our pointy-eared hero, but from which he slips out unscathed. In places such as the Goron Mines and Death Mountain, Link is exposed to large amounts of lava. In Ocarina of Time and Majora’s Mask, he can run around in the pools of molten rock, slowly taking damage and eventually bursting into flames and dying. Of course, it’s obvious that this isn’t possible in real life, and I don’t think that it was ever up for debate. But in Twilight Princess, Skyward Sword and The Wind Waker, just one touch from the lava causes him to respawn at the beginning of the area. While this is slightly more realistic, it is still very dissimilar to what would happen in real life. When organic material is thrown into lava, it causes volatile explosions as it sinks into the intensely heated mass. In reality, Link would explode upon contact with the lava, forcing players to restart from their last save point. It is understandable why Nintendo did not stay true to reality in this circumstance, as I doubt small children would enjoy seeing the game’s protagonist exploding into gory fireworks and the one-hit kill would be extremely frustrating, especially in heat-themed areas. Another deadly situation from which Link manages to escape is falling into spikes of any size. 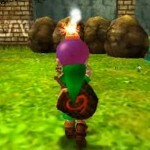 The danger of spikes is not as prevalent in the Zelda series as that of lava, but it is still fairly common. Spiked objects are rolled, thrown, dropped, or swung at Link, often at high speeds. They may do half a heart of damage, but for the most part, Link walks away from the blows completely unharmed. In reality, he would be impaled. If the spikes punctured any of his vital organs, he would most likely die rather quickly. If the wound was not in a particularly important area of his body, he could bleed to death, which would drain his hearts slowly and ominously. If he fell from a great height onto a floor covered in spikes, he would die very quickly, especially from punctures to his brain. It is highly unlikely that he would be able to survive any kind of injury which was delivered by spikes, unless he was brushed very gently by them. Link carries the final deadly danger with him wherever he goes. While bombs may be essential to his quest, they have great power and could potentially equate to a one-hit kill. If Link places a bomb and stands too close to it when it explodes, he receives a bit of damage and continues with his quest. In reality, at the distance at which he stands, Link would be blown to pieces, dying on the spot. Even if he was standing far enough away from the blast to be safe from the bomb itself, bits of debris from the explosion would be launched at him at remarkable speeds, which could potentially be just as dangerous as any of the other situations which have been mentioned so far. In the games, being blown up by a bomb as big as his head should kill Link completely, or at least take away a large portion of his health bar. However, the explosions rarely do more damage than half a heart. As gamers, I’m sure we all have experienced the frustrating moment which follows a slip of the controls which sends us flying into a pit or, in this instance, straight into the bomb which we just planted. It makes sense that Nintendo would not put such a heavy price on our failure at manipulating bombs. After all, we’re all human, and everyone makes mistakes. The list of things which should kill Link but don’t is endless. The fact of the matter is, video games just aren’t all that similar to real life. But there are, although rare, instances in which Link is killed, but in reality, should survive. The biggest example can be found only in some the older games, in which, if Link touches an enemy, he takes damage. He can even die as a result of contact with his foes. Unless all of Link’s enemies are covered in corrosive chemicals, touching them wouldn’t hurt him at all. In fact, wrestling and martial arts are forms of combat which involve touching your opponent and little else. A tackle, a headlock, or a good, solid punch can be quite effective at debilitating an enemy. Link should be able to bump up against his enemies and shove them around as much as he likes without being injured. It doesn’t make sense that he could die just by making contact with his enemies. Another instance which ties into the last is that of swarms of aggravated cuccos attacking Link after he attacks one of them for too long. Birds can be dangerous when provoked, but these don’t even peck Link. They just bump into him until he collapses in an exhausted heap. I’m sure that it’s quite difficult to illustrate chicken attacks with the power of some of the older consoles. But still, one of Link’s most famous and beloved deaths, in reality, should never have come about. The issue remains; why are Link’s reactions to perilous situations so different from those of real human beings? Why are his causes of death and injury so different for our own. Well, the main reason seems to be the fact that Link dies for a different reason than actual living creatures. 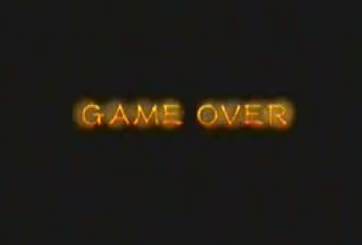 Video game game-overs are a mechanic designed to put purpose and challenge into a title. Real humans die because of disruptions in their vital processes, and feel pain as a warning that care of an afflicted area is necessary and as a deterrent from from ever harming themselves again. Because death in video games is used as an obstacle and a challenge, the rules surrounding it in reality can be stretched without ruining the game. In fact, preposterous deaths and survivals can make a game fun, rewarding, perplexing and even charming. It makes sense that Link wouldn’t die as a result of the same things that we would. If instant death waited around every corner, players wouldn’t be able to play for five minutes without something to set them back and erase their progress. People would hate the Zelda games, and Nintendo would have stopped making them. For this reason, I think that it is a good thing that Link doesn’t die from running into lava, spikes, or bombs. If he did, it would be infuriating, and the Zelda series might die along with him. And I think that Link’s death to cuccos is fun and silly, definitely a good addition to the games. So, while it is true that Link’s deaths are unrealistic, it’s a very good thing that they are. What do you think? Should Link die from realistic causes? What effect would it have on the games if he did? Leave a comment below and tell me what you think.